Martin Short’s Rollcentre Racing, with support from long-time sponsor X Markets Deutsche Bank, will race a Pescarolo in 2007, powered by a Judd V10 – with a race debut planned at Sebring in March next year, if the timing all comes together (with testing at Paul Ricard). “Our chassis will be #2 (of the new batch of 2007 tubs), and we’ll be racing what is essentially a 2006 car, but with the new chassis, new crash box and modified bodywork,” explains Martin Short. The team owner’s reasoning for forging what looks set to be a long-term association with Henri Pescarolo is, typically, well thought out – and makes absolute sense. “Henri produces cars that are tried and tested, fast and reliable. We know exactly what we’re getting – effectively a car that took five Le Mans Series wins this year and finished second at Le Mans, behind an Audi. He nearly won the race in 2005 too. "With Henri, I knew we’d be buying into a well-developed car, which he has been improving all these years, initially into a hybrid, now into a full 2007 car. There are actually parallels with where we were with the Dallaras. Perhaps if I’d had Henri’s balls we would have gone the hybrid route with the Dallaras as well. 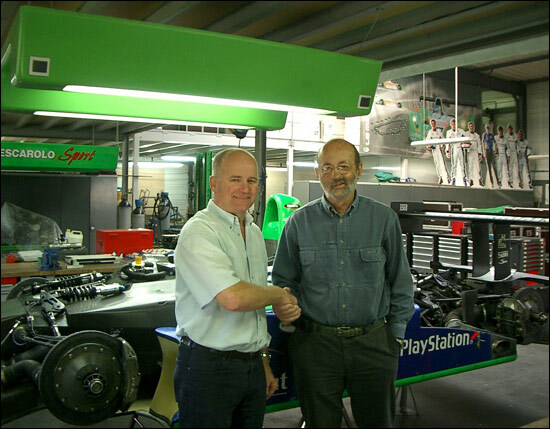 As a team then, we said that if we’d done it, we would (and should) have done it the way Pescarolo Sport has done it. “Talking in detail to Henri, there are so many things that he’s fixed, problems for example similar to ones that we had with the Dallaras. He’s gone ahead and done it. Development like that is very expensive, but Henri has just gone for it and done it. He’s done the aero testing – as he says “on my 1:1 wind tunnel, on the runway” – and the reliability testing, and focused on the speed too. Between Henri and his Engineer Claude Galopin, almost every other sentence included "and this reduced the speed at Le Mans by 6 kph, this improved it" etc. etc. We were left in no doubt as to what they were about. “You only have to look at the results to see what he’s achieved. You can’t argue with the application that he and his team put into what they do. Whenever you’re at an ACO-sanctioned race, there’s a Pescarolo coming past. They just keep on going. And win. So with developments being prepared in France, and made available when ready, Martin Short will have the use of an LMP1 car that will be reliable, fast, supplied with a lot of spares, and with full set-up information – and he’ll have that association with a man and a team which have been remarkably successful at Le Mans: essentially the only team to have taken on Audi during the last two 24 hour events. "For us, the reality of being on the podium at Le Mans is far less likely in an LMP1 next year, even with a Pescarolo, compared to say if we stayed with the Radical in LMP2. But we accept that. The big class is where we all want to be. The only problem for us now is that we have bloody big shoes to fill! Buying this car puts all the focus on us doing a very good job. We will have no excuses. And I can't tell you how much we are excited by it." 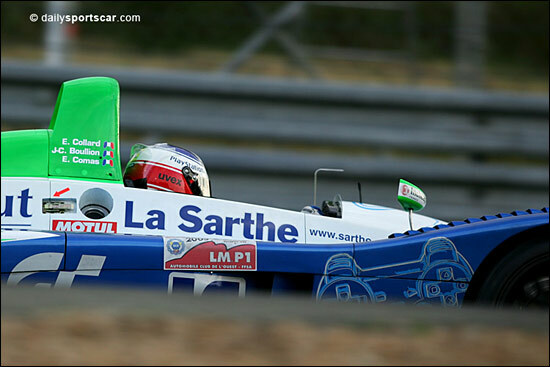 It’s not going to be easy for any of the LMP1 privateers with two diesel-powered factor teams to compete against, but doing it the Pescarolo way should give Rollcentre Racing and its loyal sponsors the very best chance of privateer and petrol-powered Le Mans success. We look forward to following the latest Rollcentre story as it unravels: 2007 can’t come soon enough – and Martin Short is first in the queue, doing it his way, which happens to be the Henri Pescarolo way too. Rollcentre plus more than a dash of HP sauce should be fascinating! PS. There's even a familarity between the liveries of the two teams. PPS. 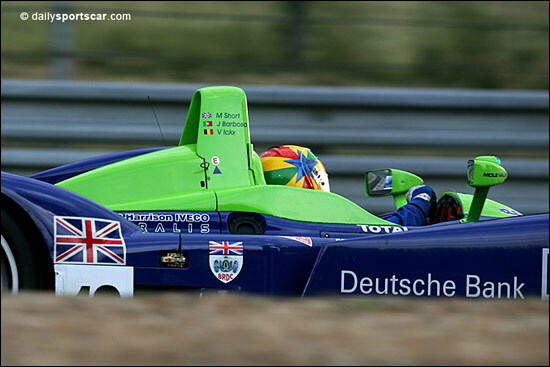 Note in the image above that Henri Pescarolo's secret weapon for 2007 has now become public: very small drivers.